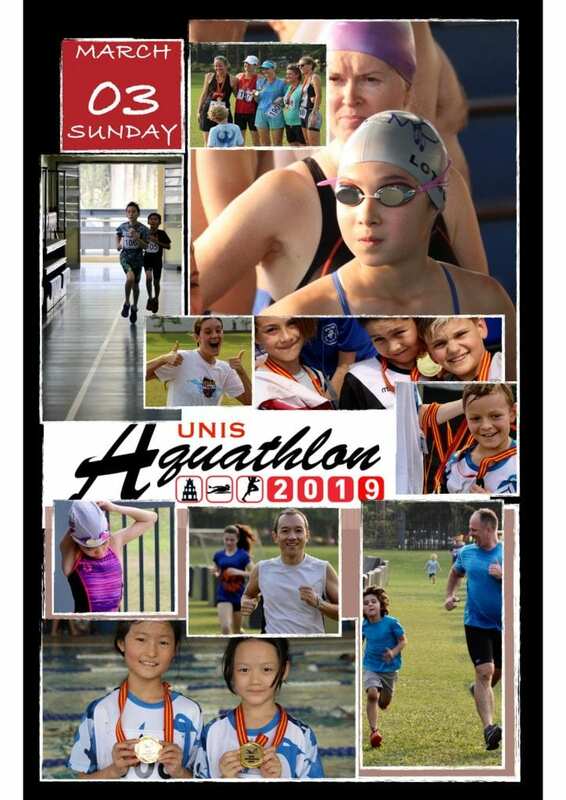 Thank you to the 200 swimmers and runners who were part of the exciting UNIS Aquathlon 2019 event on Sunday, March 3. You can see all results here. 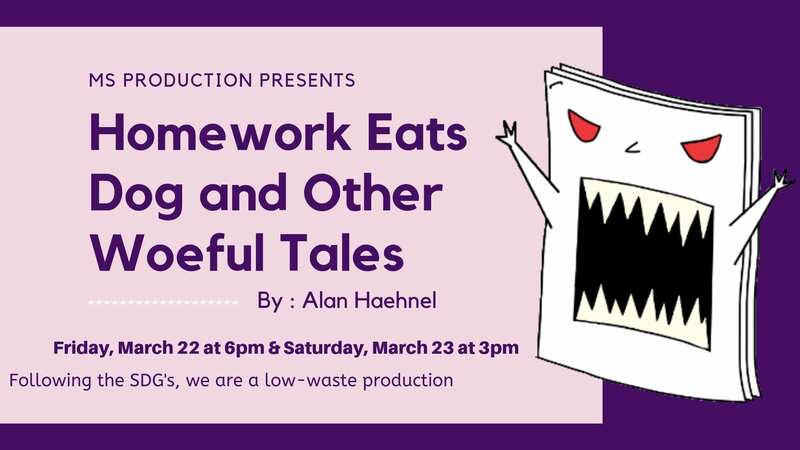 Are you ready for the super amazing MS production performance Homework Eats Dogs And Other Woeful Tales by Alan Haehnel on March 22 & 23?! This year we are going digital and haven’t used a banner since this production is a low-waste production, following the SDGs. We have been recycling all the props and using recycled paper as posters, not creating new plastic banners, and we are using handstamps instead of paper tickets. Tickets will go on sale on March 12 at the canteen during MS lunch for 80,000VND! 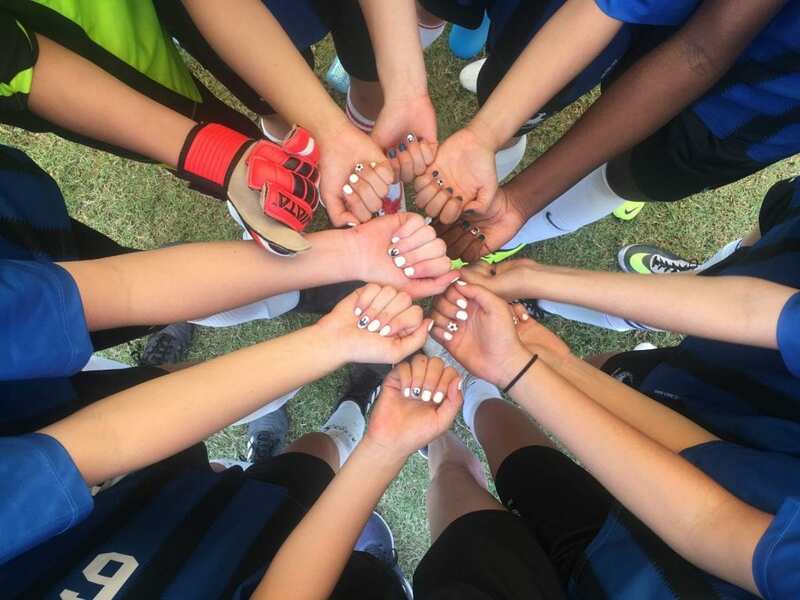 From the first day of the season until the end, MRISA Girls soccer team has worked extremely hard as one unit out on the field. The long lasting journey to our victory in the MRISA tournament was not an easy one; it was filled with sweat and tears that all came together in the end, resulting in a great achievement. 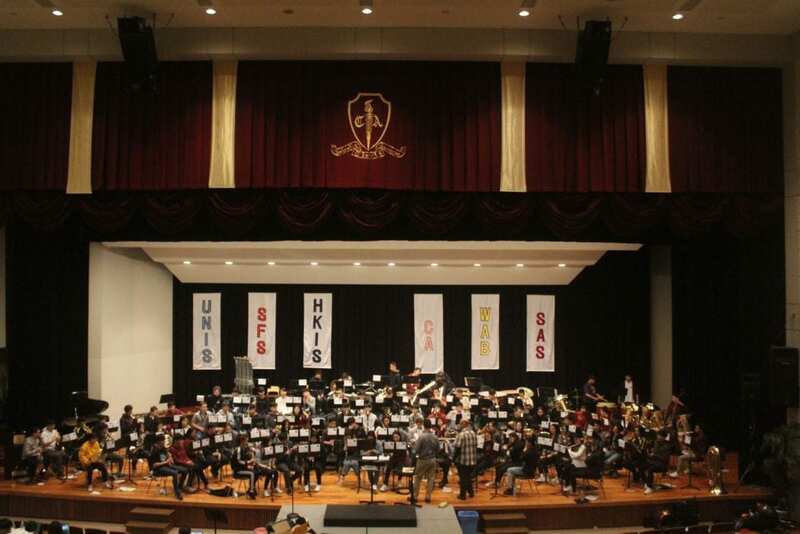 The team traveled to Vientiane International School in Laos from the 20th of February to the 24th, and came back home with a gold medal of pride and dedication around each of our necks. The season started off with our strong leaders; Misaki and Sophia as captains, and our coach, Coach Coleman, having our backs throughout our journey no matter what. 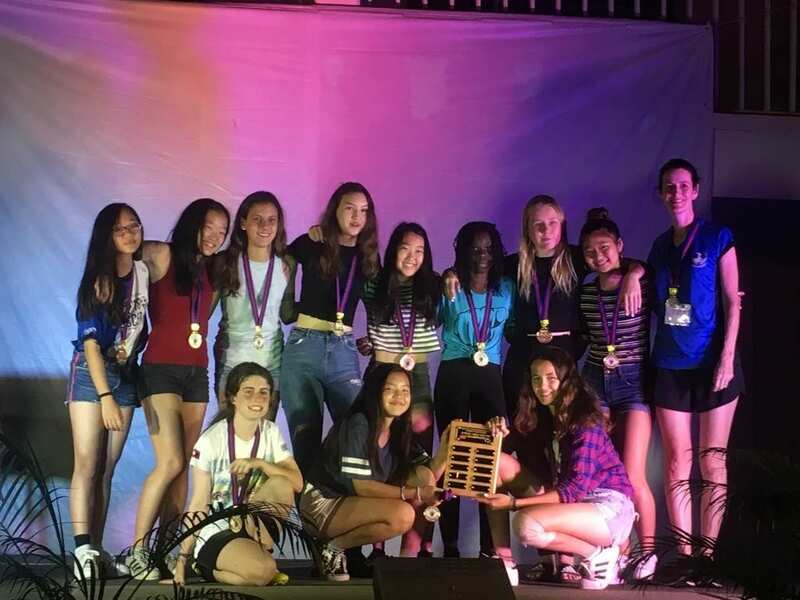 Our team had 4 returners; the captains, Ngoc, and Caitlin, and 8 players who were new to MRISA Soccer – Abi, Beeke, Elione, Jada, Kim, Lily, Michelle, Ngoc, and Saki. The first few practices didn’t quite meet our expectations, as we were all still new to playing in this team. As time went by and we started to improve, we grew not only as individual players but also came together as one team. With multiple repetitions of the same drills; passing and moving to space, shooting off a pass, and ball controlling footwork, our dedication towards the sport never stopped. All those practices continued with countless numbers of sprints, burpees, lunges, and strength-agility training. The circuit workout that we included in a couple of our practices helped us immensely during games by emphasizing on endurance, flexibility, and speed. Even during school holidays, our team would encourage each other to stay in shape and exercise regularly. 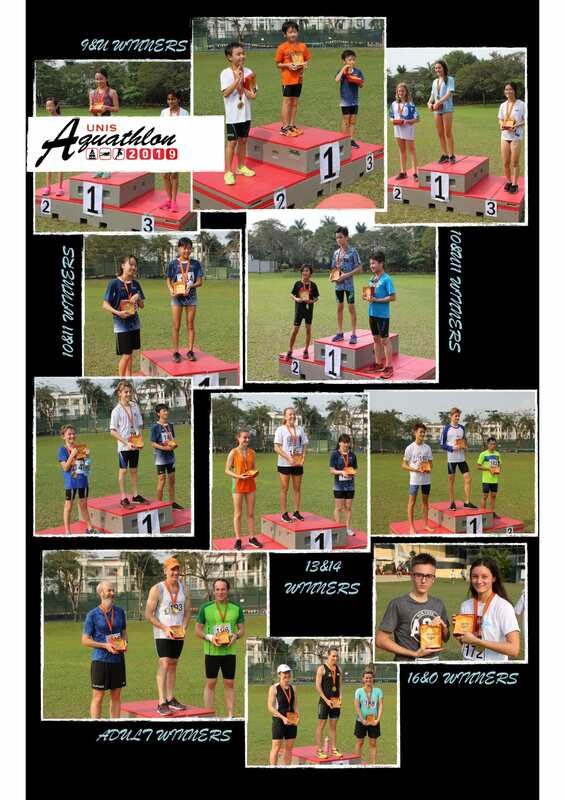 On January 19th, our team participated in the Hanoi Athletic Conference (HAC) Tournament. 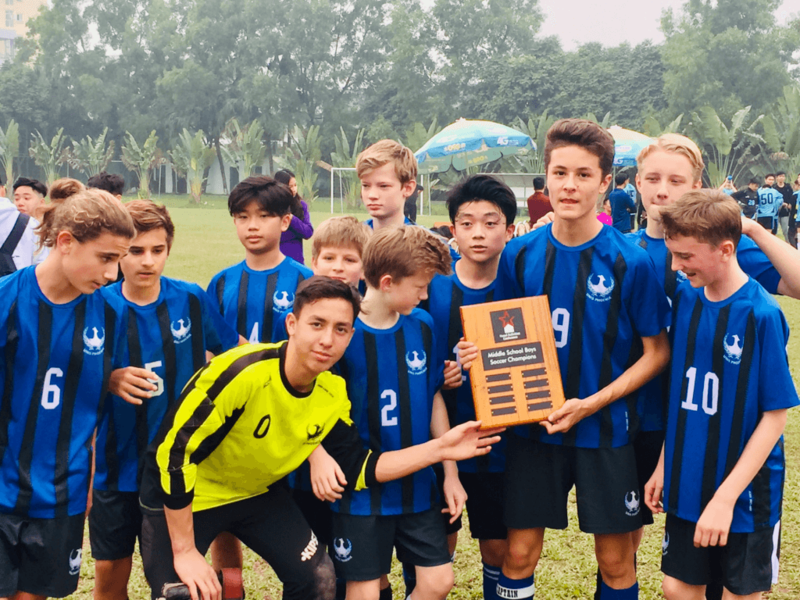 Returning with a first place trophy, for both the girls and the boys’ team, we knew that we were ready for the challenge we were about to face; MRISA Junior Soccer tournament in Vientiane International School. We were all nervous. We were all anxious. But none of those feelings stopped the fire of determination burning inside us; because most of all, we were ready to win. Arriving in Laos, our whole team was exhausted from the delayed flight and lack of sleep. However, we knew nothing could stop us, even the stifling atmosphere since this was part of what we had to fight against; and part of what we’ve been working towards. Our first game started at 8:30 am, playing against the Saigon South International School (SSIS). 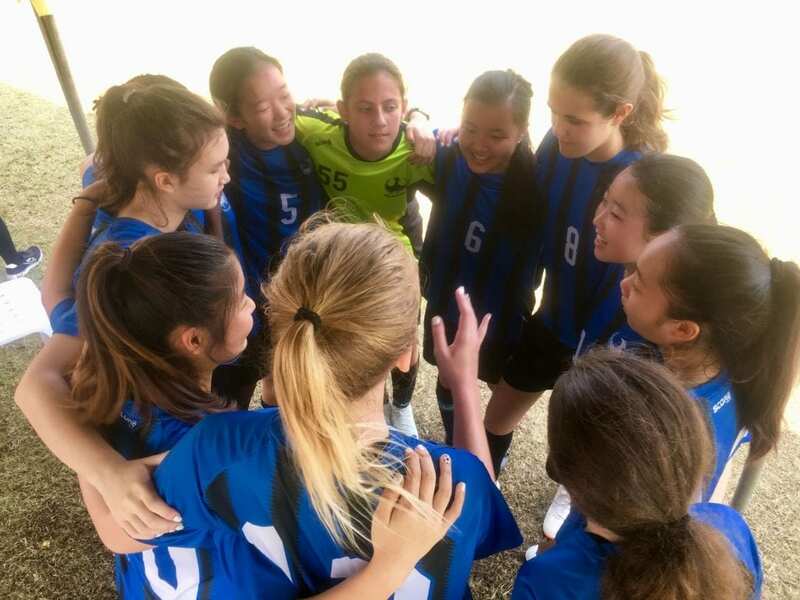 With a very close game winning 1-0 and beautiful passing by midfielders Misaki, Sophia, Caitlin and Ngoc, we were now facing one of our biggest competition; Vientiane International School, the host school of the tournament. Seeing the signs and hearing the chants of supporters all rooting for VIS, this game might’ve been one of our toughest challenges. With our careful passes and communication that we’ve been establishing throughout the season, after two long 20 minute halves, we were able to beat the team by 1-0 after a top left corner shot by Caitlin. 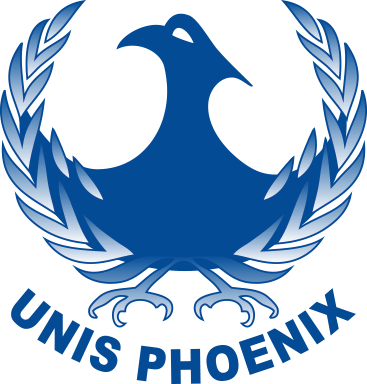 With a mixed emotion of relief and excitement, we were now against the International School of Phnom Penh (ISPP), one of our strongest opponents. Thanks to our teamwork, Abi and Lily’s speed in the midfield to keep the ball away from our goal, and coach’s guidance, we beat them by 3-1. After a long day of playing 3 games, we were ready for whatever the second day had to bring. We were off to a great start for day 2, winning our first game against Hanoi International School (HIS) by 2-0. This is the game when our strong defenders Michelle, Saki, Beeke, and Elione really started to blend with the offense to not only keep the ball out of our goal area, but also set up attacks on goal. After beating the ISPP-B team by 4-0 and Ngoc adding her first goal to the mix, we were now first seed after the round robin. We went into the third and final day of the tournament, undefeated. Our opponent for the semifinals game was SSIS. We were all dripping in sweat already in the first 10 minutes, with blinding sunlight directly in our eyes. Even after the third quarter, the scoreboard showed the point of 0-0, haunting us with nervousness. Both teams were eager to advance into the finals. We had to show that UNIS Ha Noi girls wanted it more. With 2 seconds remaining in the game, our last, fading hope was now shining towards us when we got a free kick due to the handball of the other team. Each one of us praying and waiting for our hope to be turned into a reality, after the sound of the referee’s whistle, Sophia took the shot. The strong shot went right into the goal, and the buzzer telling us that the game ended was also a sign that we were now in the finals. Thanks to each one of our hard work and commitment towards the team, and most importantly, our coach’s dedication to improving us as a team, we were able to get to where we are right now. Our victory was not only represented by the gold medal, but also as a sense of achievement and teamwork. With four returning players from last year’s team, and seven new players, the team quickly got to know each other, on and off the field, and developed a strong and energetic team spirit. 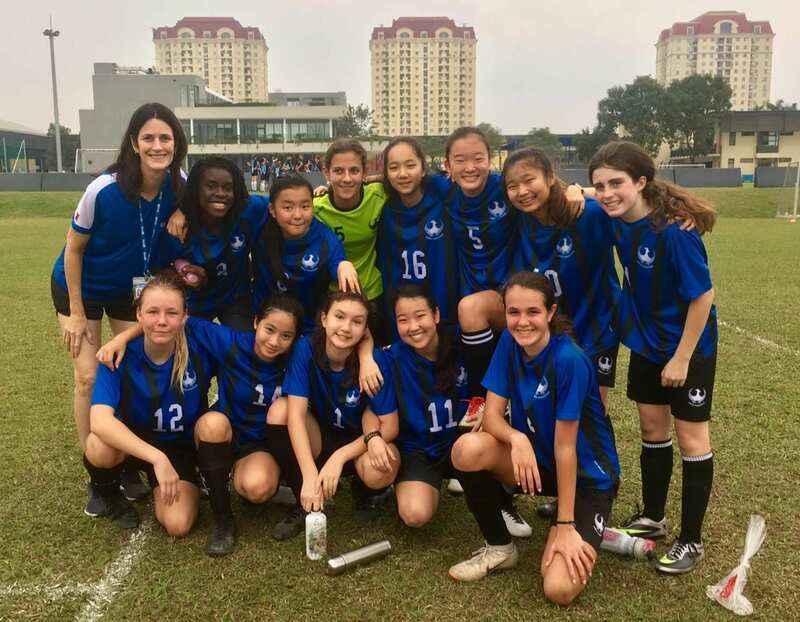 This positive spirit was a real highlight of the season and the cornerstone of a fantastic season which saw us come first in the Hanoi Activities Conference (HAC) and second place at the MRISA tournament held in Vientiane Laos last weekend. 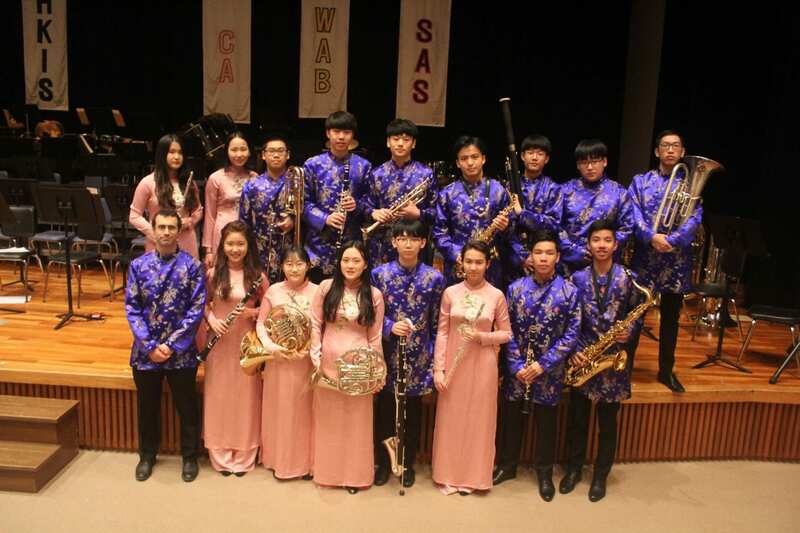 During the season, they qualified for the finals day of the HAC season, where they defeated BIS, BVIS and St Paul’s American School on the way to claiming the HAC title. Special mention for Segdae, Dafydd, Aoi and Nam for superb performances. 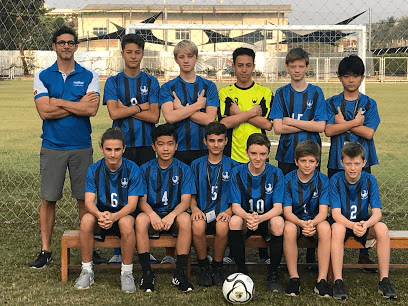 Our MIRSA tournament was very enjoyable, we were hosted by students at Vientiane International School and players were able to renew old friendships. The relationships and connections that are created between players of different schools is very special and a very valuable part of the experience for our students. With temperatures between 35-38 degrees celcius in Vientiane, it was hot going and hydration and cooling down were crucial parts of our preparation. We won all 5 of our round robin games with special mention to August, Harald and Tyson for outstanding performances that showed a lot of dedication and enormous improvement during the season. UNIS Ha Noi played quality passing football and scored 22 goals and conceded 0 leading into the finals day. Nico, Julius and Aoi contributed very well to the team and also had stand out performances. After defeating ISPP in the semi final we prepared for the final against SSIS at 15.30 in the heat of the day. Unfortunately it wasn’t to be and after a scoreless game we went into Golden goal extra time. SSIS played really well and score a long range goal which ended the final immediately and we had to settle for 2nd place. We learnt a lot from the tournament and experiences throughout the season and built a terrific camaraderie which the players should be very proud of. Rory and Ruben were named in the tournament All Star team which was well deserved after and outstanding tournament where they showed they have a very high level of football skill and awareness. 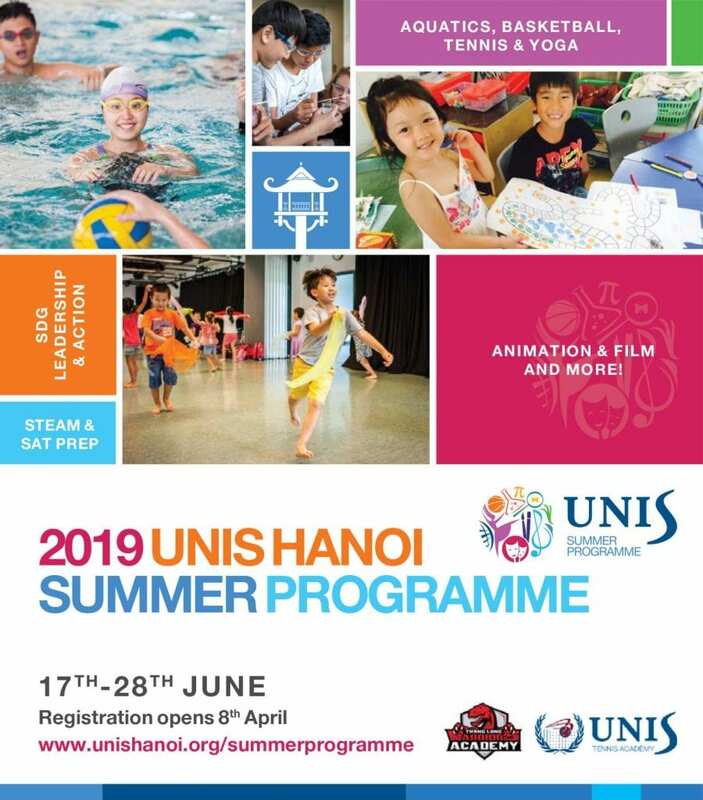 UNIS Hanoi Summer Programme 2019: Mark your calendar now! 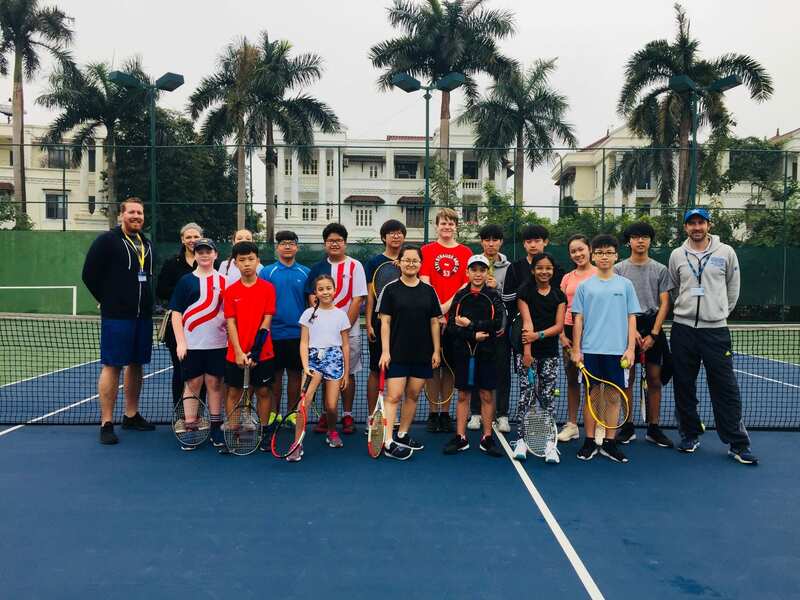 Saturday February 23 saw the latest junior tennis matches played between St Paul’s school and UNIS Ha Noi. We were just about beating the wet weather and thanks to our operations staff assistance the tennis courts were playable. In 2 hours of play over 30 matches were completed with UNIS Hanoi winning more than 80% of the matches. 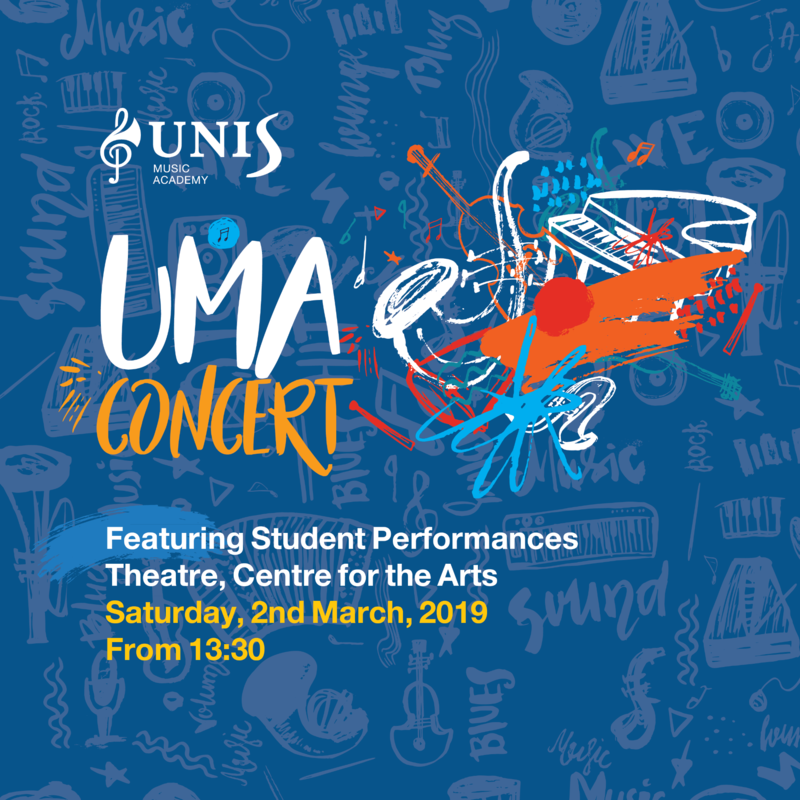 Well done to the Middle and High school students involved. 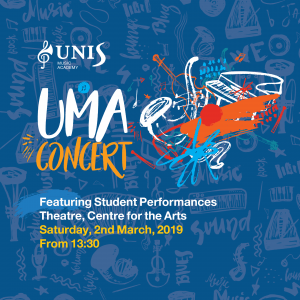 There will be another event similar to this one in March so we look forward to that. Model United Nations is an opportunity for young people to practice the diplomatic and critical thinking skills of the United Nations. 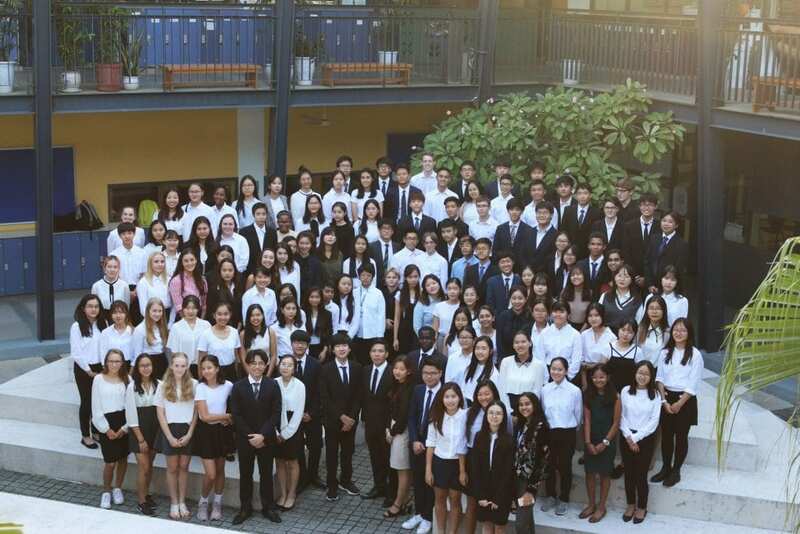 We will be hosting over 400 students and their MUN directors from 20 schools including UNIS for a three day conference starting on Thursday February 28. The conference is student organised. The student leadership starts in April to prepare for the conference the following March. The first item on the agenda is choosing a theme that had depth and will be of interest to the delegates who attend. This year our theme is Development and Technology. The delegates will be looking at issues on automation, transnational crime, freedom of the press, responsible extraction of natural resources, international standards on eco labeling to name just a few. The full list of issues on the agenda is available here. Each committee room as well as the opening and closing ceremonies is entirely run by the student leadership team. They are supported by Ms. Giang Dang as the MUN Conference Coordinator who takes care of the logistics of the visiting schools. The first day of the conference the students who represent the countries of the UN will work together to find common solutions which they will craft into resolutions. This involves collaboration, empathy, and a willingness to compromise to find solutions that will address some of the largest issues that the world faces. On day 2 and 3 the students will debate these issues in committee and finish with a plenary session where the resolutions that have passed in committee are debated by the General Assembly. The delegates have been working preparing research on their country and policies for months. We will also have the honor of having Mr.Kamal Malhotra, the UN Resident Coordinator and Mr. Kyle Kelhofer IVC Country Manager to provide some real world advice on some of the issues on the agenda. Although we have limited space it is possible to come and sit in and listen to some of the debate. There will be signs posted around campus on the committee rooms. If you need directions please just look for the Admin Staff. They will be dressed with red ties and can answer any questions that you have about where to go to find committee rooms.